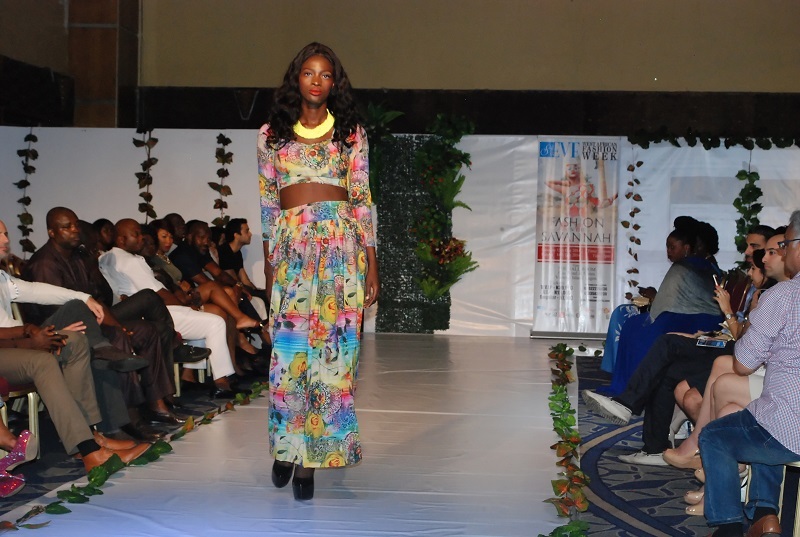 Eko Hotel & Suites will once again serve as the stylish backdrop for two days of established and emerging designer runway shows at St. Eve West African Fashion Week 2015. This year’s event, with the theme ‘Fashion is Art’ will include Fashion Exhibition, Fashion Fused with Art, Art Exhibition St. Eve’s popular Runway Catwalk and the much loved Auction Sales. There will be abundance of artistic fashion prints, live portrait drawings, and the presence of top international fashion designers in a unique and classy fusion of Fashion and Art. Since first powered by St. Eve Magazine (Nigeria’s industry-leading Health, Beauty and Fashion magazine) in 2013, SEWAFW has welcomed hundreds of guests and influential industry professionals from around the globe to Nigeria’s fashion and financial capital, for the chance to discover the next emerging, national and international designers. 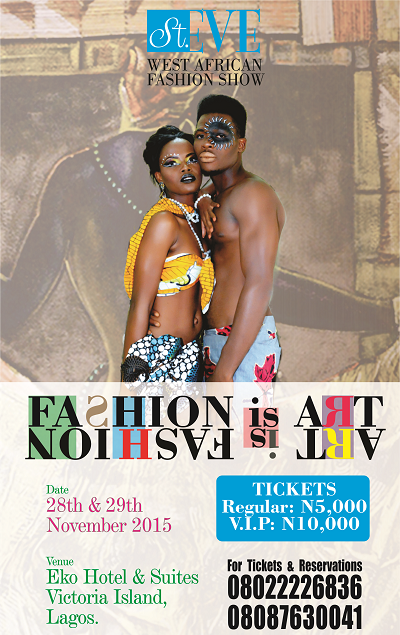 SEWA Fashion Week 2015 will also activate an impressive 2015 roster of top-tier partners and sponsors focused on pushing West African fashion forward, including Mercedes Benz, Fashion Designers Association of Nigeria (FADAN), Jevkon Oil and Gas, Nkem Art Gallery, Beat 99.9 FM among several others. The week long event will also have designers be part of the pre-show interview on selected radio and television stations. Furthermore, the St. Eve team of judges comprising top professionals from the fashion industry will select the best designer in the Emerging Designer category to be sponsored to attend an international Fashion Show. The St. Eve West African Fashion Week, which has been hailed as an exciting event that showcases local and established talents, is once again ready to live up to its billing in this highly anticipated show. Staged in the stunning surroundings of the luxurious EKO Hotels & Suites, the SEWAFW 2015 possesses the key platform that allows the creation of a unique signature runway look and feel that rivals fashion weeks in New York, Paris, and London. This year, SEWAFW attendees can expect high-energy fashion shows featuring designer brands ranging from locally to internationally recognized, stylish sounds, cultural arts performance, glamorous after parties, and special celebrity guests. Tickets for the St. Eve West African Fashion Week 2015 start at N5,000 for Style seating (general admission) and range to N20,000 for VVIP Front Row seats. All tickets allow access to the shopping area and one night of runway shows. Tickets can be purchased at Naija Ticket Shop and Event Citi.